Many brides often ask the following question: who are the best wedding photographers? In this article, we will help you find the best wedding photographer for YOU! Professional wedding photographers associations are a reliable source of referrals. Some even offer lists of top 10 wedding photographers by area, portfolios and reviews. 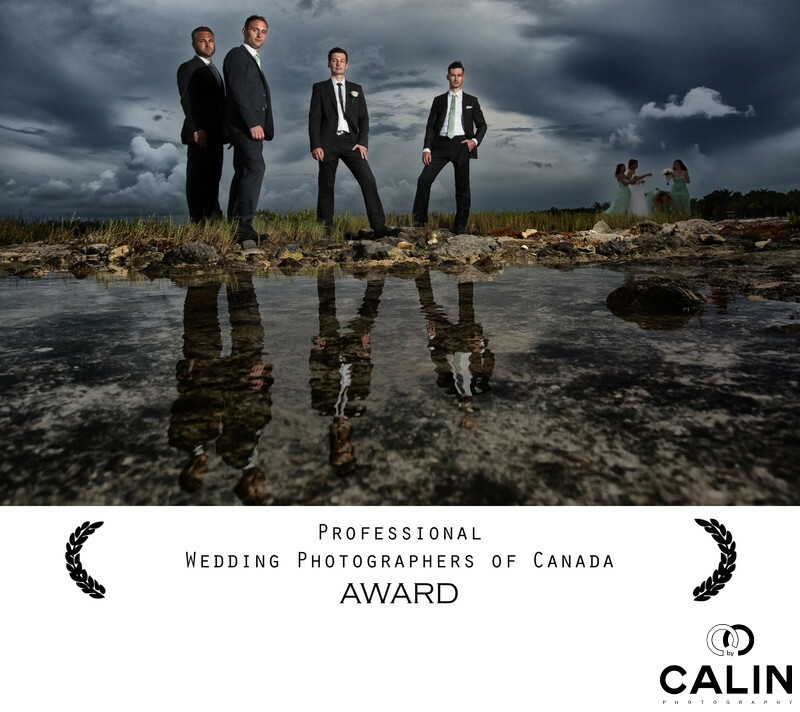 Fearless Photographers, Professional Wedding Photographers of Canada, International Society of Professional Wedding Photographers (ISPWP), Wedding and Portraits Photographers International (WPPI) require their members to abide by codes of ethic and professional conduct. Also, a panel of professional photographers reviews the candidates' portfolios. These associations grant top images awards and judges are top wedding photographers. Having been invited to judge a national competition, I know how hard it is to win such award. Still, most large photography studios on Google's first page don't join professional associations who only allow individual photographers to join. Why? Because the large studios they want to sell you the umbrella brand and not a particular photographer. Often, they don't give you a choice in choosing your photographer. Also, they cannot guarantee that photographer who took their portfolio pictures on their home page will - in fact- shoot your wedding. When looking for the best wedding photographer, ask friends and family. Ask them in person or through social media if they know a good wedding photographer. Referrals will save you time and reduce your risk. If that particular artist did an amazing job for your cousin, chances are you're gonna be happy with her as well. Also, you probably have a friend or relative who is a passionate photographer. If so, ask him to recommend or help you find a good photographer. Googling the search words "best Toronto wedding photographer" is a good starting point. Still, make sure you go past page 1 and check their reviews as well. Don't stop on page 1 on the results, or you will not find the best wedding photographers but the best marketers. Make sure you check photographers reviews on Google as well. If a client takes the time to write a good review on Google, it means the photographer did an amazing job in terms of imagery and customer service. In my opinion, Google is the most reliable source of reviews. WeddingWire, Facebook, etc. reviews can be manipulated. Mywed is a photography directory where brides can search for the top photographers by city. Also, most photographers list their hourly fees. The order is determined by the number of votes received by images submitted to peer critique. However, please be aware that the "Pro" level photographers are listed first. The Pro category is deceiving. Short story, Pro level are considered photographers who pay an annual fee. They receive more credits to and as a result, can submit more images, resulting in more votes and a better placement to the top of the searches. If you scratch my back, I will scratch yours kind of arrangement. If one of your vendors has been in the wedding industry for a while, they definitely know a great wedding photographer. Asked them to refer you a few, but do your homework before you book them. Often business partners refer each other because it's in their best interest, not because it's the best for you. Yet, your wedding officiant, DJ, makeup artist and wedding planner know good photographers. Out of the many Toronto wedding photographers how can you find the best for YOU? In Toronto, every year 30,000 couples tie the knot! We estimate that there are hundreds if not thousands of photographers in Toronto. A Google search for the best Toronto wedding photographers returns 1.78 million results. Here are a few more criteria to help you narrow down your search. Price, style, personality, punctuality and responsiveness are crucial for a good match. Never choose a wedding photographer based on price but make sure your budget matches her rates. We would never advocate selecting your wedding photographer solely based on price. As they say, if you care only about the price, in the end, you will only be happy with the price you paid. 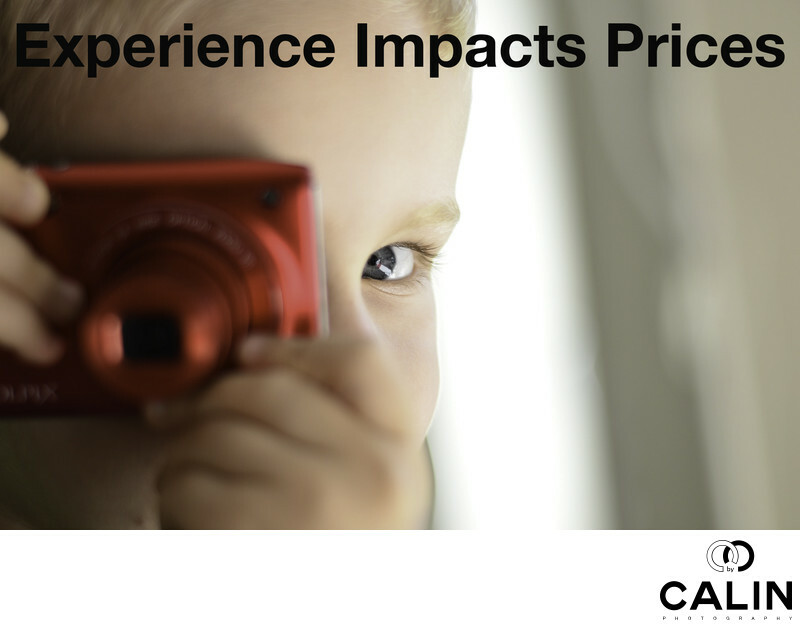 Often pricing is a measure of quality, talent and skill of a certain photographer. Also, some studios have large marketing budgets, and thus charge higher rates to recoup their costs. We acknowledge that the average price of wedding photography in Toronto is high. As such, make sure that you consider only the photographers who match your budget. If you are on a budget and are looking for an affordable wedding photographer, please check our Toronto pricing and packaging page. Also, make sure you read our Toronto pricing analysis to find the photographers who meet your budget. Please keep in mind that according to our findings, the average cost of a wedding photographer in Toronto is $4,340. 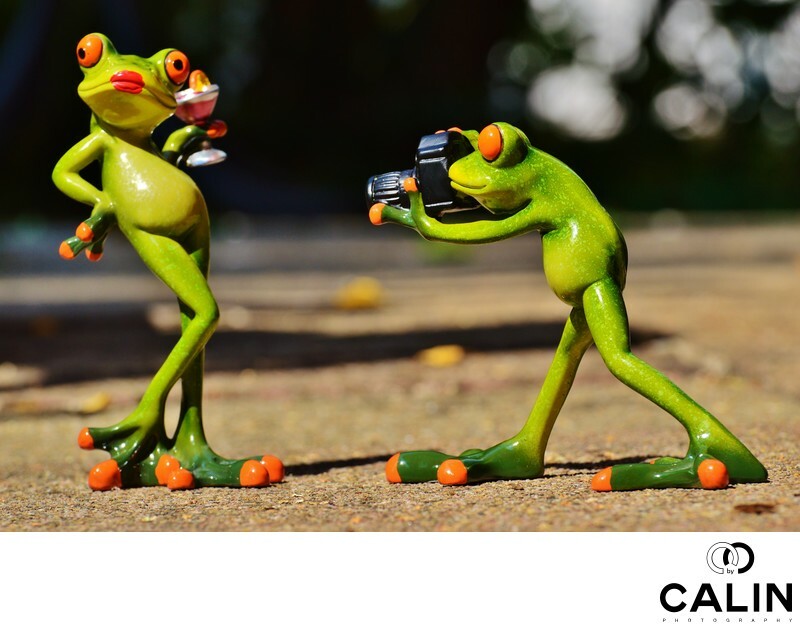 Once you have shortlisted the photographers within your budget, look at their shooting and post processing style. The way your dream photographer documents your wedding is crucial for good results. There are three major styles of wedding photography: traditional, documentary and hybrid. The traditional wedding photographer is an adept of the old school, with stiff poses and a long list of shots the photographer has to achieve. The advantage of hiring such artist is that he is experienced in documenting weddings but has not adapted to the new bride's tastes. The photojournalist or documentary wedding photographer is at the other extreme. She's unobtrusive and does not interfere in the wedding. The pros of hiring her are that you will not have to go through a long list of poses. Yet, she cannot control the situation and achieve results in case of a time crunch. Also, she has little or no experience in posing couples. In wedding photography, there is the notion of corrective posing. Through correcting posing, a good wedding photographer can hide flaws and make a bride shine brighter than before. Sadly, a pure documentary photographer can not do that. That leads to the next type of artist. The hybrid wedding photographer presents the advantages of both the traditional and the photojournalist. He knows how to pose and also went to document the day focusing on candid photographs. A subset of the hybrid type, the editorial photographer treats a bride and groom photo shoot like a fashion editorial. Although the imagery is often impressive, many couples dislike posing and avoid these artists. Make sure you like your photographer's post processing style as she will not adapt her approach to match your preferences. Most experienced wedding photographers shoot raw images and post-production is part of their creative vision. Among the different styles, we can list black and white, sepia, vintage, cinematic, vibrant, ethereal and more. When it comes to style, there is no right or wrong! You want to make sure that your preferences match the photographer's style. If you value good wedding photography, make sure you like your photographer as a person. Personality is one of the most neglected aspects in selecting a good wedding photographer but is nevertheless important. While there is no best wedding photographer in general, there is the right one for you. Exactly like your fiancee! He might not be the best there ever is, but for you, he is the one. Here, you need to make sure your photographer's personality matches yours. Why? It's simple! Your photographer will follow you the whole day during, preparation, ceremony, reception. If you are not comfortable in front of your him, it will show in your wedding pictures. Some photographers are introverted, which works perfectly for a documentary photography approach. However a timid photographer can not control large boisterous families when it is time to capture the formal portraits. Other photographers are very loud and like controlling the wedding as if it were their photo shoot. I heard of a photographer who even jumped on the altar as that gave him the best shot! Make sure your personalities match and trust your gut! To avoid stress, choose a wedding photographer who is punctual and returns your messages fast. Unfortunately, most of the wedding professionals lack customer service skills. My clients often complained that their vendors replied late to emails or calls and were late to meetings. In one extreme case, a baker cancelled a tasting without informing the couple. As such, if your photographer does not reply to your emails or returned your calls within 24 hours, she's for you. Here are a few facts of which you should be aware. While asking your vendors to refer partners, beware of wedding venues preferred vendors lists. Often, influential wedding venues require a listing fee to promote a wedding photographer. In extreme cases, US venues asked photographers to pay 30% of the fee to photograph at those venues. Even in Toronto, there are venues that promote family members as their preferred vendors. In the cases above, it is the couple who pays the high price literally and figuratively. Wedding photography is a difficult profession! It takes hundreds of weddings for one to become a great wedding photographer. if one is a good landscape photographer, one is not always a good wedding photographer. Wedding photographers can virtually buy awards to differentiate themselves and please their egos. In a market where everybody can buy a good camera and become a start a business overnight, photographers need awards and publications to look legit. Many blogs, print magazines and other publications created "awards" for photographers who advertise. Beware of "awards" granted by non-professional associations as they might be bought as opposed to earned. The same goes for published weddings. Most publications accept submissions only from photographers who advertise. This self serving measure eliminates the best wedding photographers and does the brides a disservice. Advertising in print or online is expensive. As such, if you find your dream wedding photographer in a wedding magazine, you should be ready to pay a higher price. After all, she should recoup the cost of the full page ad. How Many Weddings do They Shoot Every Year? Best wedding photographers shoot only a few weddings every year. They want to keep their vision fresh and every wedding is a new creative endeavour, not just another wedding. Book such amazing artists early if you think they are your dream photographers! Sure, they charge above market prices to stay in business but they are worth it. Check our Top 10 Wedding Photographers list. Finally, avoid studios who shoot hundreds of weddings every year because you will be just another bride, a number in a long assembly line. We hope you found this article useful. If you have suggestions or observations, please do not hesitate to contact us via email.